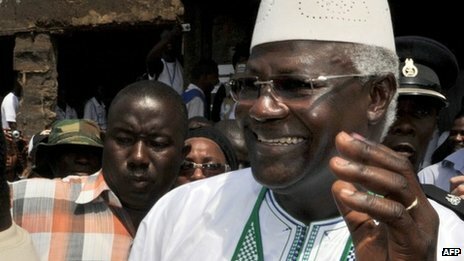 Promoting women and gender related issues has been a core value of president Koroma’s government. This can be seen in the appointment of women into positions of national trust, thus making them an integral part in the day to day administration of the state. For instance, the National Revenue Authority is headed by Haja Kallah-Kamara, who has been making serious impact in generating revenue for the smooth operations of government, and for the implementation of the country’s development plan. Under her leadership, the revenue generation efforts have tripled as compared to 2007. The ministries of health and sanitation and local government are headed by women – Miatta Kargbo and Diana Konomani respectively. 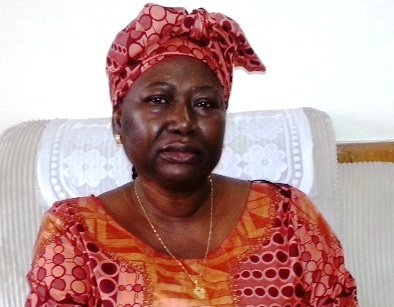 Sierra Leone’s current Chief Justice Umu Hawa Tejan-Jalloh, is a woman of substance, as it is with Sarah Bendu at SLRTA. Rasie Kargbo is current and first female State Chief of Protocol, and was also first director-general in the ministry of foreign affairs and international cooperation. At the diplomatic front, women continue to make a great impact. Madam Khadijatu Bassir is the ambassador in Senegal; Sadiata Sesay is the deputy envoy to The Gambia; and until recently, Mrs. Marie Jilo Barnett was ambassador to Liberia. Also, it was from a ministerial position that Dr. Zainab Hawa Bangura was appointed by the UN Secretary-General as Special Representative on Sexual Violence in Conflict. 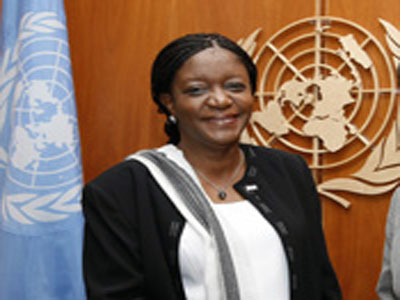 She was Sierra Leone’s foreign affairs and international cooperation minister. She later became the minister of health and sanitation, before bagging her current international assignment at the UN. Today, Dr. Zainab Hawa Bangura is making Sierra Leone proud, given her outstanding performance at the United Nations and the world at large. China is a strategic country and the world’s second largest economy. It is a major player in international politics, international economy and world diplomacy. Sierra Leone’s Mission in Beijing-China is also accredited to several other nations in the Southeast Asia Pacific. The current Ambassador to China is Victor Bockarie Foh, who until his appointment about a year ago, was Party Secretary of the ruling All People’s Congress party in Sierra Leone. And in March 2014, it pleased His Excellency, President Ernest Bai Koroma to appoint Madam Kumba Alice Momoh as Sierra Leone’s deputy ambassador to the People’s Republic of China, with accreditation to several other countries in the Southeast Asia Pacific. Arriving for duty in May, 2014, her first task was to establish a collaborative teamwork, so as to enable the Mission achieve its goals in China, and the rest of the accredited countries. With a passion for success, she spoke of how “our being here should ensure we add value, by attracting investors who will be committed to deliver purposeful businesses that will benefit the people of Sierra Leone”. (Photo: Alice Momoh). What a great and encouraging beginning. A retired Business Manager at the Mitchell Brook Primary School, in Brent, North West London, spanning 26 years, she was responsible for co-ordinating human resources, health & safety issues, facility management, control of the school budget, procurement of goods and services to facilitate and enhance teaching and learning. Madam Momoh was a member of the Senior Leadership Team which makes strategic plans and changes for the smooth running of the school. Her strong analytical skill in peoples’ behaviour is an asset that earned her great support in that job. Having studied at various colleges and universities, such as the National College of School Leadership and Institute of Administrative Management, UK; the Middlesex University, and the Open University, Kumba Alice Momoh is a product of the prestigious St. Joseph’s Convent Secondary School, Makeni. Kumba Alice Momoh has a wealth of experience in the field of administration and management. 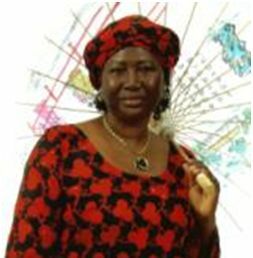 She worked in Sierra Leone in 1971/72 with the National Electoral Commission; and between 1974/76 worked at the Sierra Leone Broadcasting Services as Producer of Regional Programmes. Between 1987 and 1991, she was School Secretary and Clerical Assistant at the Bridge Junior Primary School, Bridge Road, London. And in 1991/1992, she was appointed School Business Manager, School Bursar and School Secretary, Mitchell Brook Primary School, North West London. On the political front, Madam Kumba Alice Momoh is a strong member of the governing All people’s Congress party. She was the vice chairman and chairlady of the party from 2007, until she was recently appointed deputy ambassador to the People’s Republic of China. In other words Madam Kumba Momoh has been a glorified school secretary in London for so many years until her appointment as our new ambassador to China. No wonder we continue to be at the bottom of the development scale. We continuously put square pegs in round holes. God save mama Salone.